Universal Pictures’ Get Out, the film Variety calls a “bombshell social critique” that “proves positively fearless,” and The Hollywood Reporter raves is “one of the most satisfying thrillers in years,” is arriving in Philippine cinemas on March 15, coming off a smash No.1 opening in the US. 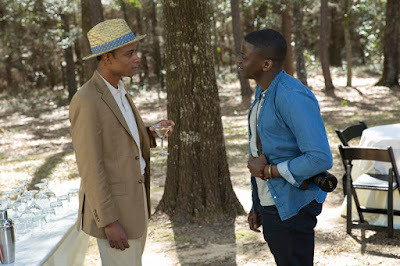 From Blumhouse (producers of The Visit, Insidious series and The Gift) and the mind of writer-director Jordan Peele, when a young African-American man visits his white girlfriend’s family estate, he becomes ensnared in a more sinister real reason for the invitation. 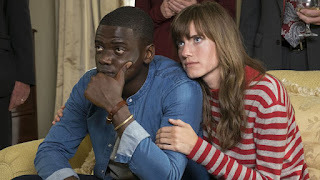 Peele imagined a protagonist named Chris, an African-American photographer and artist in New York City who is taking his relationship with his Caucasian girlfriend to the next level by meeting her parents over a long weekend. As soon as Chris arrives at the family’s rural, upstate home, he begins to suspect that everything is not as it seems. When he discovers that a number of black men have gone missing in that suburb, his suspicion reveals itself to be more than unfounded paranoia. What starts out as a mundane, obligatory weekend spirals and builds toward a crazy, horrific, thrilling, terrifying, and likewise fun, conclusion. As do the most provocative of horror offerings—from George Romero’s Dawn of the Dead’s exploration of the height-of-Vietnam era to Wes Craven’s The Last House on the Left examination of the inherently violent nature of humans—Get Out greets audiences with a provocation that is much more than simple entertainment. Opening across the Philippines on March 15, Get Out is distributed by United International Pictures through Columbia Pictures.